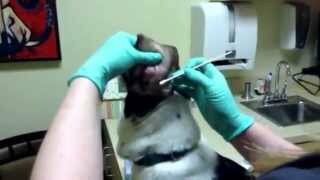 This video explains aftercare procedures for Pets that have had general Anesthesia for Dental or Surgical Procedures. Provided by Dr. Matthew Wheaton from Alicia Pet Care Center. This is part 1 of 2. 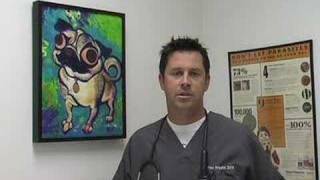 This video gives information regarding chronic vomiting in cats and the diagnosis and treatment of the condition. Video brought to you by Alicia Pet Care Center and Dr. Matthew Wheaton. This is part 2 of 2. This video gives information regarding chronic vomiting in cats and the diagnosis and treatment of the condition. Video brought to you by Alicia Pet Care Center and Dr. Matthew Wheaton. This is part 1 of 2. 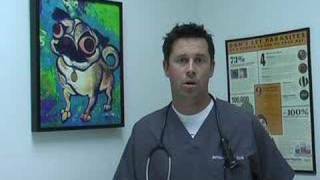 Here is a general information video on crate training for dogs and puppies. Contains instructional information and the explains the benefits of crate training. This is part 2 of 2. Here is a general information video on crate training for dogs and puppies. Contains instructional information and the explains the benefits of crate training. Alicia Pet Care Center. How to perform an at-home ear cleaning on your dog. 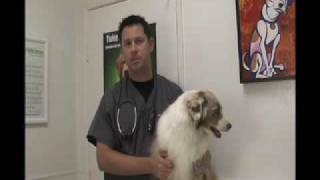 A Registered Veterinary Technician walks you through cleaning your dog's ears.